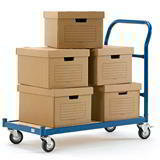 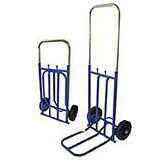 Our great value standard sack truck has a load capacity of 150kg to make any moving job easier and more convenient. 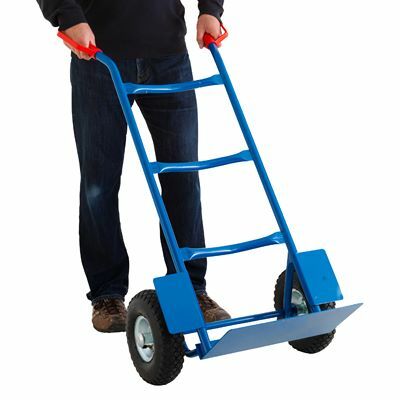 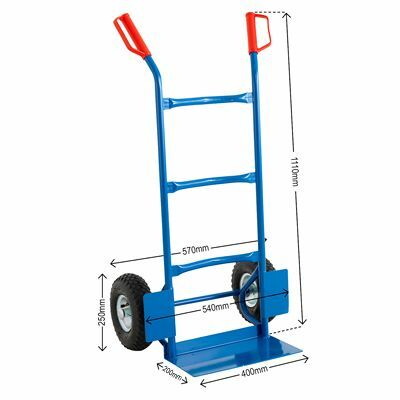 With a fully welded blue steel frame, pneumatic tyres and fixed toe plate it is ideal for warehouses, shop floors, delivery drivers, builders etc. 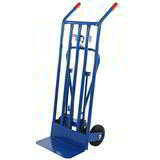 Reliable and strong, the sack truck comes pre-assembled with plastic knuckle guards and is ready for use straight away! 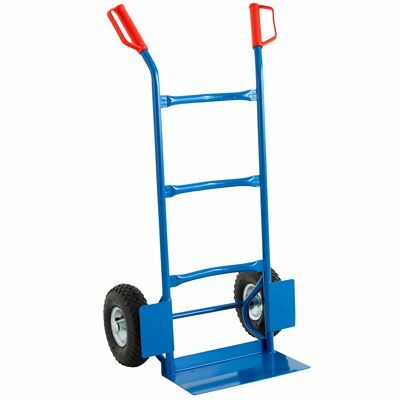 This versatile sack truck will take the strain and is suitable for a wide range of everyday jobs and surfaces.